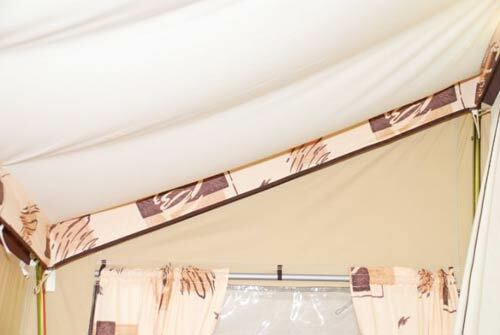 The modern-styled Cabanon Stellar trailer tent comes complete with a generous 3.0m awning, with 4 zip-out panels, ventilated doors and windows and a strong, large gauge 28mm steel frame. 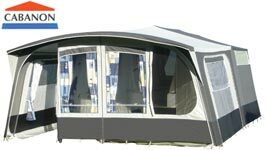 One of the great selling points of the Cabanon Stellar is its extremely versatile awning, which has 4 independent fully removable panels. 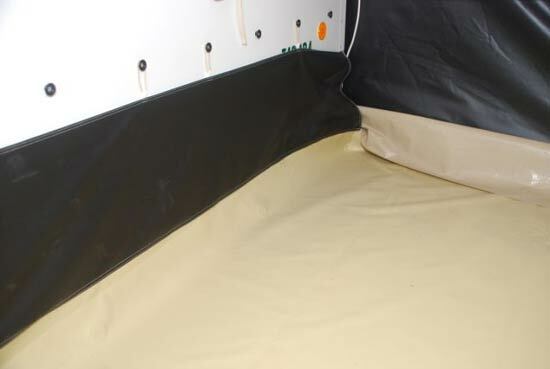 Authors note: Some of the images used to demonstrate each of the Cabanon trailer tents under sections; 'Key Features' and 'Accessories' may differ in colour and specification to the actual models. Many of these images are in fact omitted from the current Cabanon brochure, although the brochure offers a more realistic representation. 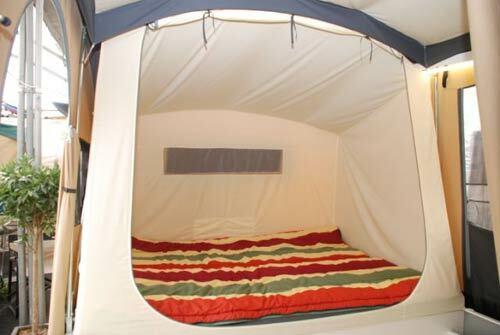 Two large and comfortable 2-berth bedrooms of 145cm x 210cm, with ventilated side windows and outside flaps. The left-hand bedroom has a ventilated front window, with flap, giving a view into the living area. 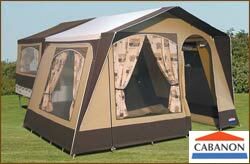 The standard model is supplied with cabin roof lining, full set of curtains and removable mattress and seat covers. 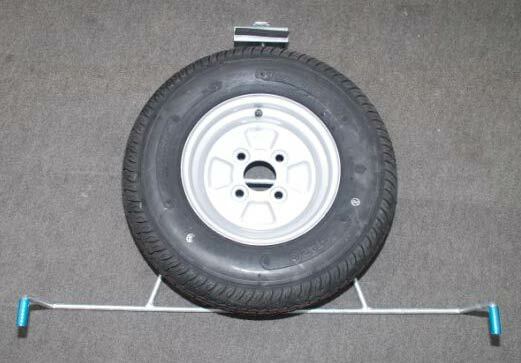 A jockey wheel, spare wheel and spare wheel carrier are also included as standard. The strong, steel, trailer body, has built-in drawers and locker storage, and a fully galvanised chassis. 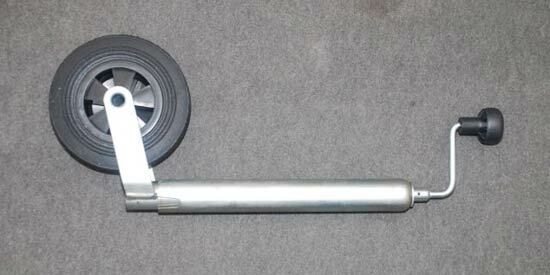 Brakes are available as an option. The Stellar trailer tent is available either with or without a deluxe kitchen, with two burners, grill, drawers and stainless steel sink. 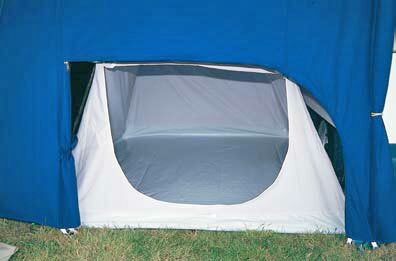 The 440cm x 300cm awning offers a great deal of usable options. 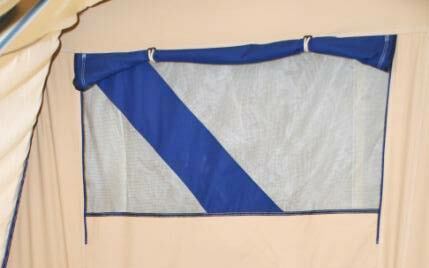 The two front panels of the awning may be zipped out, or zipped down to form a veranda facility (using the optional veranda pole). The two side panels are also removable and once removed, an optional Tall Annexe, or Bedroom Extension and inner may be fitted to either side of the awning. 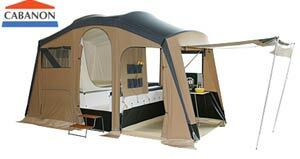 The awning is detachable, which enables the sleeping part of the trailer tent to be used on its own, great for compact camping holidays. 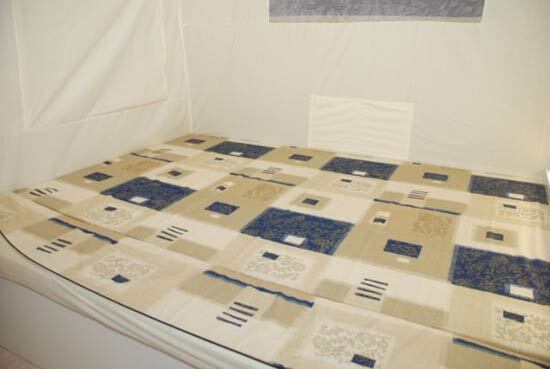 This is particularly useful for overnight stays. 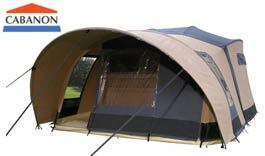 The optional sun canopy can be fitted to the front of the awning to extend the use of the awning even further.